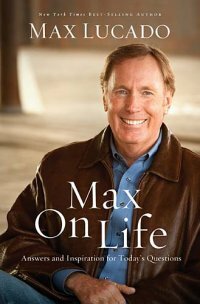 I recently finished reading the book “Max on Life” by Max Lucado. This was an interesting read; Max seeks in this book to unlock some of the most basic questions about life. As Max writes, “We have questions. Real, important, and challenging questions.” In this book, he takes around 200 questions and tries to answer them from the Bible and the Christian faith. Read on for my full thoughts of the book. I can’t fault much of what Lucado writes in this book. In fact, a lot of it I strongly agree with. He grounds his words in Scripture and much of what he says holds good truth. A few questions, particularly, “Do people who have never heard about Jesus go to Hell?” bothered me, simply because his conclusions do not match my beliefs (To sum up: he believes no; I believe yes, but I won’t go into that). Ultimately, a book is only as good as its author. Max Lucado, as good of a man as he is, is still a fallen human. Thus, I would recommend this book tentatively – Scripture, and true study of what it contains, is always the best answer to your problems. That being said, Max Lucado’s book can be a helpful tool, for each question mentions several scripture references which you can use in further study. If I were to say one thing to potential readers of this book, it would be this: any book like this is good, but ultimately it is written by a human author. For the best study and answering of your questions, I most highly recommend studying a different Book, written by a heavenly Author. Note: This book was provided to us for free through Booksneeze. They provide free copies of books for us to review and we are very grateful for their service. I might look into this book. It seems like a pretty good resource for answers when non-believers question me about the faith. Side Note: I’m not trying to bash your belief or get into a long argument, but I just had something to say about the question “Do people who have never heard about Jesus go to Hell?” I believe that those souls so unfortunate as to be blind to Christ still have a chance at going to Heaven. A person may live in an impoverished situation and may go all their life without once hearing of God’s greatness. However, once their judgment time comes around, they still have a chance to accept Christ, just as Christ accepts us. Christ loves EVERY ONE of us, no matter what we do, and He will always attempt to call to us, even when we may not always hear Him. Argh, stupid blogger! From now on, before hitting ‘post’ I am copying what I write to the clipboard. Anyways, I want to respond to what you had to say. How do you explain away the verse in Revelation (I really should look it up, I need it more these days) that says that men will not be able to plead ignorance? Do I believe it is just of God to damn them without giving them a chance? Absolutely! He would be just to damn the whole human race which literally swims in sin, but he chooses to save a few, and now we say he isn’t just to damn the rest. Does that add up? No. My point is, what isn’t justice are the people who will go to Heaven. That’s God’s grace. One more thing is, if you believe that those who have not heard will go to heaven, then the Great Commission in Mathew 28:19 is both pointless and cruel. If I go and tell someone about Jesus, and they don’t accept, they go to Hell. But if I don’t go and tell them, then they get in on the ticket of ignorance, or as you said, get a chance once they have seen Jesus and already thrown away their whole life. I can’t make that make sense. *smiles * You both have brought up very good points, and while I agree with one of you and not the other, I would say I think you should search out the scriptures. They hold the answer and key to this question. God is a God of mercy and Justice, that’s what makes Him so wonderfully complex. We can trust that He does not change. His nature is consistent. So search the scriptures for the answer to this question. It holds the key to unlocking this question; we just have to be willing to look for it with an open mind, seeking His truth and not our preconceived notions. Ultimately, it doesn’t matter what any of us say. It matters what the Lord says. I am reminded of the Parable of the Laborers in the Vinyard Matthew 20:1-16. The Laborers who were hired at dawn were angry with the landowner for paying the same wages to the workers hired at five o’clock in the evening. He said to one of them in reply, ‘My friend, I am not cheating you. Did you not agree with me for the usual daily wage? *smiles * Okay guys, while we think this is a profitable subject to discuss, we do not believe this is the place to do it. We on the ITB team would like to ask you all to search the scriptures and discuss this subject with your families and pastor. 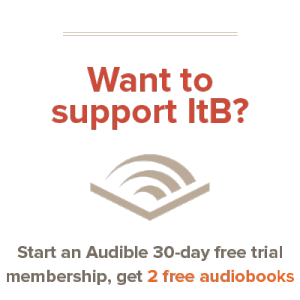 Our goal on ITB is to glorify God by helping lead you in your choices of books to read. It is the job of others to lead you in your spiritual walks and journeys. So with that, we ask that comments on this thread be uplifting and encouraging in our literary journey towards Godliness. Thanks for the info. I always loved Max on life, really. Just wanted to let you know I really enjoyed this review you did. I liked the way you recommended it, yet still cautioned the reader, reminding them that Scripture is where we get our foundation, not books written by fallible human beings.